FansBet are offering a £30 risk-free bet on Monday night's FA Cup match Chelsea vs Manchester UTD! Sign up and bet £30 on the match result (1X2 Final Time) of this game, and get a £30 refund if your bet is a loser! After being demolished 6-0 by Manchester City last weekend, Chelsea returned to winning ways in midweek when they faced Malmo (2-1) in the first leg of their Europa League tie. Prior to these two games, a 5-0 hammering of Huddersfield saw the Blues make the perfect return from a shocking 4-0 loss to Bournemouth. Manchester UTD tasted defeat for the first time under new manager Ole Gunnar Solskjaer in midweek as they lost 2-0 to PSG. That result came after 11 unbeaten games on the trot, with 10 of the previous 11 outings ending in victory too. Prior to that, the Red Devils' last defeat was a 3-1 loss to Liverpool on December 16. Are you placing a bet on Chelsea vs Manchester UTD? FansBet are offering a stunning betting promotion! If you lose your first bet on this match, you will receive your money back up to £30! 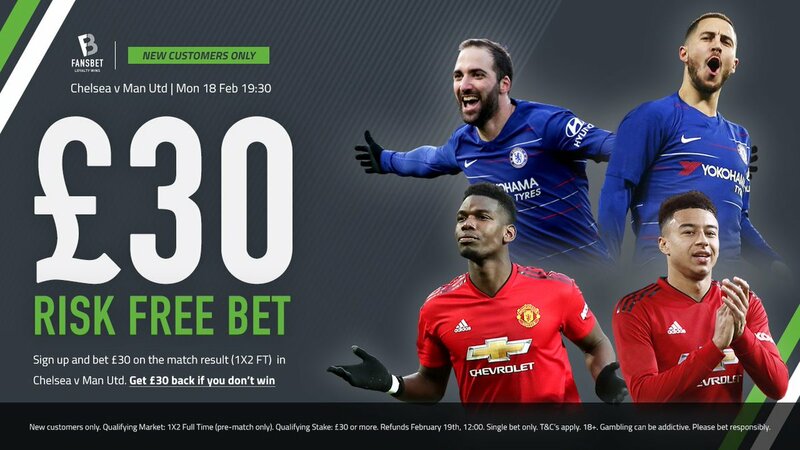 FansBet , one of our UK's favourite bookmakers, are offering all BetAndSkill.com readers the chance to get a £30 risk-free bet when you sign up for a new online account and place a bet of £30+ on Chelsea vs Manchester UTD this Monday (match winner market). 1) Join Fansbet via this special link. It will only take few minutes! 2) Bet £30 or more on the match result market (1X2) of Chelsea vs Man UTD. 3) Receive a free bet up to £30 if your first bet doesn't win. 4) Refunds are issued on Tuesday, 19 Feb 12:00. There are no wagering requirements! 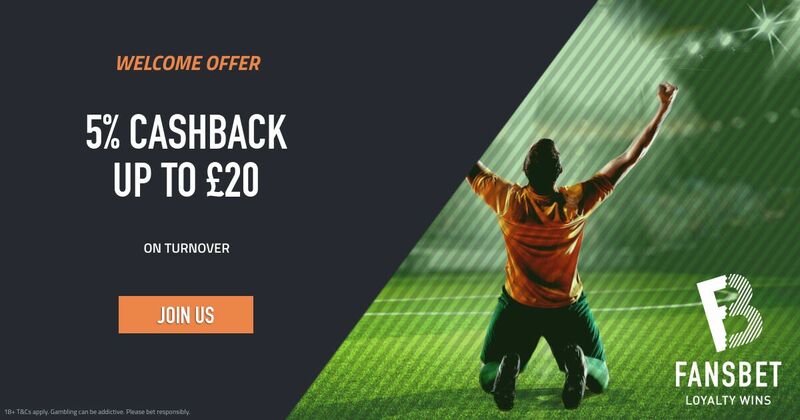 Fansbet are also currently offering a tasty Welcome Bonus to all new puntes: Make a 1st deposit of £30 or more and get 5% cashback on sportsbook turnover. 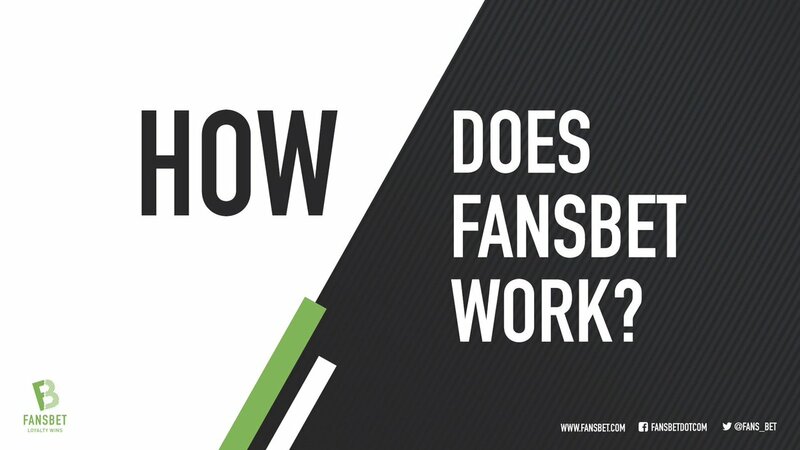 Read here how to claim the FansBet Betting Bonus! Min deposit £30 (no Skrill/Neteller), cashback cappet ad £30. Max bet £300. Only valid on sports betting with min odds 1.75 (3/4). Must wager £400 for full cashback. T&Cs apply. 18+. Please bet responsibly. Fansbet is licensed and regulated by the UK and Maltese Gambling Authorities. This bookmaker provides betting opportunities on a whole range of sports and a lot of cool promotions that offer real value to all their customers. It is an innovative new bookmaker, advertised as a ‘one of a kind’ betting platform that shares 50% of its net profits directly with supporters from local clubs and organisations who partner with the site. One of the most eye-catching aspects of Fansbet is the Premier League fantasy game that lasts right through the season. 1. Sign up and bet £30 or more on the match result (1X2 FT) in Chelsea v Manchester UTD. 2. Qualifying Market: 1X2 Fulltime. Pre-match bets only. 3. Qualifying Stake: £30 or more. 4. Bet type: Single bets only. 5. Deadline: Monday, 18 February 20:00. 6. If you lose, £30 will be refunded on Tuesday, 19 Feb 12:00. 7. No wagering requirements on winnings. 8. Only players who signed up after 13th February, 2019, are eligible. "Chelsea vs Man UTD £30 Risk-Free Bet With FansBet"